Why send flowers when you can send daisies! What a great gift for anyone who's young at heart! This colorful 100% glycerin soap-on-a-rope is handmade to perfection and comes packed in a distinctive clear drawstring giftbag. 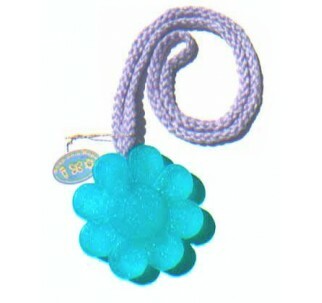 With a big 3 1/4" diameter, this daisy will stand out in a gift basket or on its own. Daisy, daisy....give me your answer do! NOTE: Colors may vary.